“The Great Gretsch Sound” they say. The unmistakable snap and twang, or the warm, round but brilliant sound – Gretsch guitars were right at the forefront of the rock ‘n’ roll era in the 50s and has been an essential part of guitar history ever since. 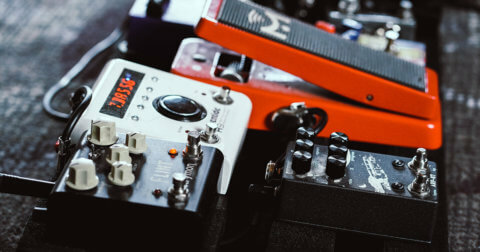 Together with the great brands like Gibson, Martin and Rickenbacker, Gretsch was one of the original American guitar manufacturers, having been founded as far back as 1883. The legendary models – the White Falcon, Tennessee Rose, Country Gentleman and the Duo Jet have become cultural icons of American design. The original Country Gentleman and poster boy for Gretsch, this quiet, finger-picking virtuoso named Chet Atkins was a pioneer during his day – mastering the art of playing chords and the melody at the same time, and married country, jazz and classical playing styles into his very own Nashville Sound. Gretsch worked together with Chet Atkins in the 50s to develop a line of guitars, with the Country Gentleman being the most recognised. It was an elegant, luxurious semi-hollow guitar, fitted with FilterTron pickups instead of the DeArmonds that were on most Gretschs during that period. If Chet Atkins rescued country in the 50s, Brian Setzer brought a rockabilly and rock ‘n’ roll revival in the age of hair and glam metal. 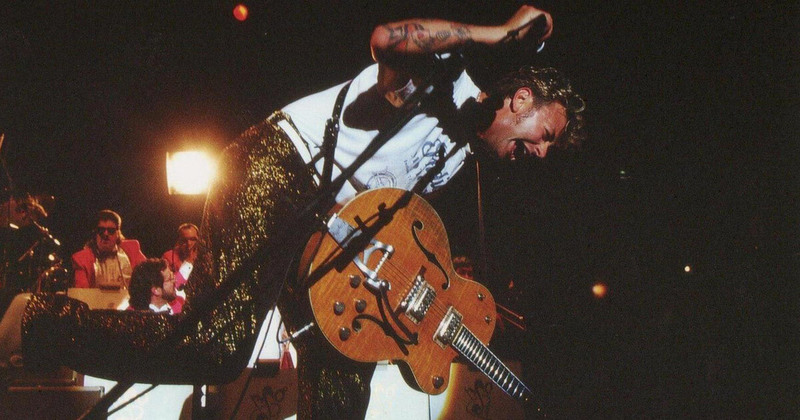 With his electrifying trio The Stray Cats, Brian Setzer strutted his way to stardom with his blend of jazz, blues and country. Behind Brian Setzer’s exuberant sound was an orange ‘59 Gretsch 6120 he bought from the classifieds. Setzer was so obsessed with Gretsch, he collaborated with the brand to produce the first Gretsch Brian Setzer in 1993 and has never looked back. Today, there are more than half a dozen Brian Setzer signature Gretstchs. Possibly the greatest rhythm guitarist to grace the stages of rock, Malcolm Young was the backbone behind AC/DC’s finest works. 3 chords – simple, and absolutely perfect, Malcolm Young was the master of rock rhythm guitar playing. His famous ‘63 Gretsch Jet Firebird was given to him by his older brother, George Young, and in true rock and roll fashion, he stripped the red finish, gutted the middle and neck pickups and stuffed socks in the cavities to reduce feedback. 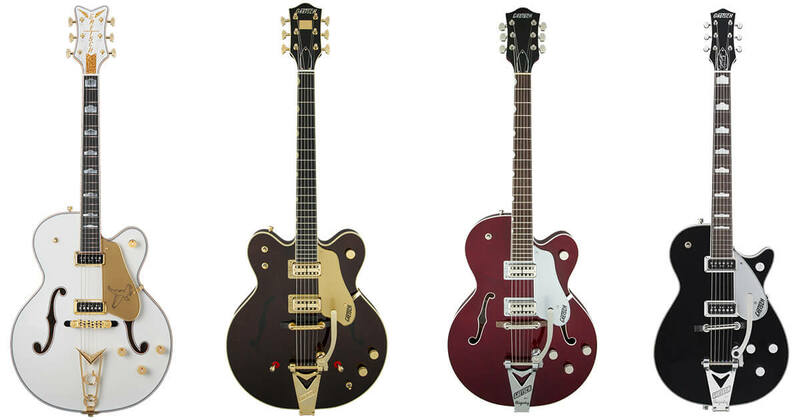 Gretsch guitars were heavily responsible for launching Rock ‘n’ Roll. Their quintessentially American looks and sound were favoured by the 50s Hellcats. One of these early rebel rockers was Eddie Cochran. He purchased a brand new orange 6120 hollow body and went on to play it on hits like Summertime Blues and C’mon Everybody. Cochran was knowledgeable about the guitar, too. 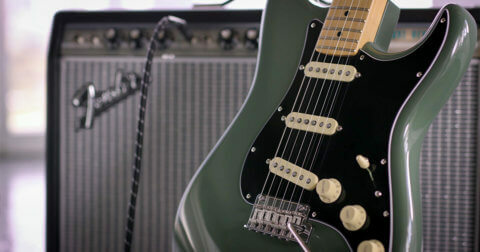 He hot-rodded his guitar with “dog ear” P-90 pickup in the neck for a fuller sound. 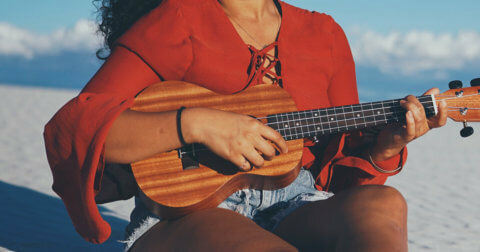 He was also one of the first to ditch the wound G-string on the electric guitar, opening up the way for the big bends rock and blues music so greatly desired. Beatlemania changed the course of music history. And if there’s one man who’s single-handedly responsible for Gretsch’s soaring sales, that would be George Harrison. His appearance with the Beatles on The Ed Sullivan Show in 1964 wielding a Gretsch Country Gentleman was viewed by 73 million people, skyrocketing the brand’s popularity. George Harrison was a huge fan of Gretschs and played many more throughout his career, featuring in countless Beatles recordings. By then, every guitarist in a rock band wanted a Gretsch – from the likes of Brian Jones to Lou Reed. Swee Lee is the sole distributor for Gretsch Guitars in Singapore. If you want to understand why legends swore by these guitars, head down to Swee Lee’s flagship store at The Star Vista and play a few licks on a Gretsch.